We've all been there. You enter the meeting space, turn on the display, power up the camera, dial the number, and…nothing. "Sorry guys, we're having technical difficulties on our end. Can we reschedule?" Situations like this are all too common when attempting to host a meeting via video conference, audio conference, or wireless presentation. 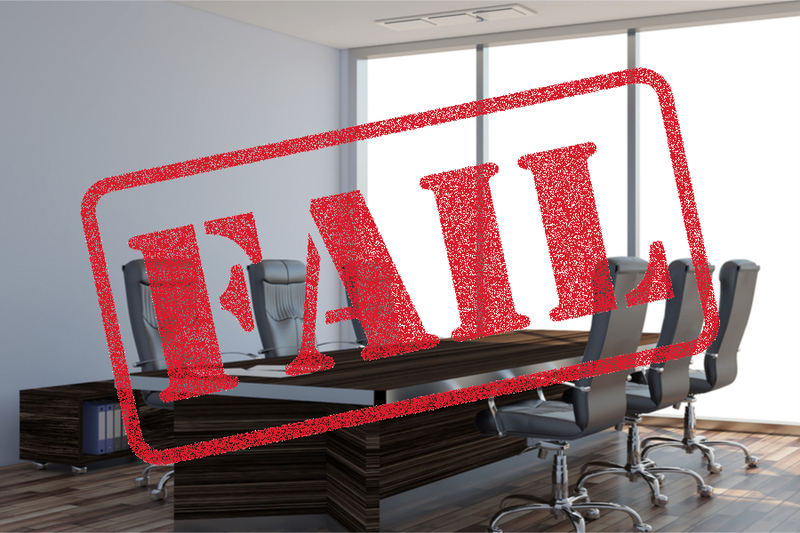 This is just one example among a plethora of "fails" that occur in huddle rooms. Have you ever experienced any of these issues? 1. Your audio call has a terrible echo. 2. The room speakers crackle and hiss throughout the duration of the call. 3. The people on the other end constantly say they can't hear you clearly. 4. The audio coming through is quiet and difficult to understand. 1. Your video conferencing calls have audio issues. 2. The video freezes or lags noticeably. 3. The quality of the video is poor. 4. The far end complains they can't hear or see people or areas of your room. 1. You are unable to share and display content from any device during a video call. 2. You can't present wirelessly. 3. You can't annotate on documents during a meeting. 4. Remote participants cannot annotate on a document you're sharing with them. 1. You walk into the room and it's a challenge to figure out how to even turn the system on or start a conferencing. 2. You attempt to switch display inputs to show another laptop, but it goes to black and says "no input." 3. The audio in the room is too loud but when you adjust it, you actually lower the audio for the remote viewer. 4. There's a paper cheat sheet in the room that tells you how to work the system, but it's already outdated or gets placed in a drawer. If you've experienced any of these difficulties in your meetings, our experts at Alpha Video can custom design and install a system appropriate for your needs. Imagine: no more dropped calls; blurry, pixelated, and delayed video calls; crystal clear audio; and the ability to share content, present, and annotate documents wirelessly. Your huddle room will no longer be a house of horrors, rather, a collaborative space where effective meetings occur, without technical difficulties, creating an inviting room for both staff and visitors.